Four volleyballers have been nominated for the Class of 2018 Honda Sport Award for Volleyball – Florida’s Rhamat Alhassan, Penn State’s Simone Lee and Haleigh Washington and Stanford’s Kathryn Plummer. The Honda Sports Award has been presented annually by the CWSA for the past 42 years, awarding the top women athletes in 12 NCAA-sanctioned sports. The award signifies “the best of the best in collegiate athletics.” The winner of the award then becomes a finalist for the Collegiate Woman Athlete of the Year along with the 2018 Honda Cup that will be awarded on Monday, June 25, 2018, in downtown Los Angeles. The four athletes were selected by a panel of coaches representing the AVCA. The Honda Sport award winner will be announced next week following voting from over 1,000 NCAA member schools – each NCAA member institution is allowed a vote. Alhassan was the 2017 SEC Player of the Year and a two-time first-team AVCA All-American and four times in her career across all teams. This season, she led the nation with 1.70 blocks per set and is the first Division I player since 2010 to average at least 170 blocks per set along with a .355 hitting percentage. Lee was named the 2017 Big Ten Player of the Year and a first-team Senior CLASS Award All-American. She was a two-time AVCA All-American and the 2017 University Park NCAA Regional Most Outstanding Player. 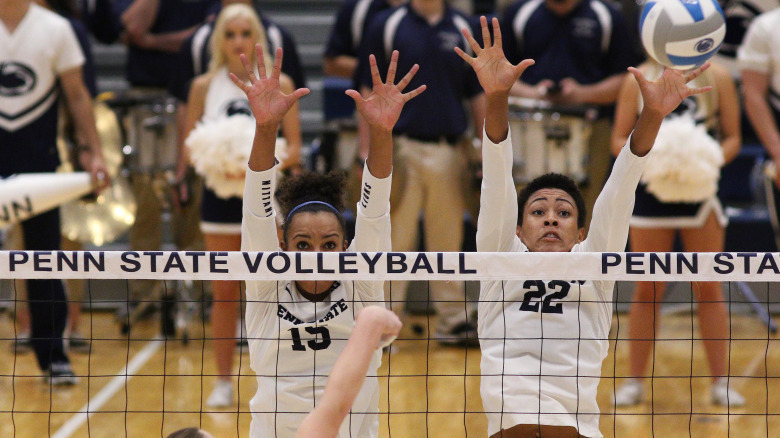 Lee posted a team-best 3.89 kills per set while averaging 2.30 digs per set. Washington was named as the 2017 Senior CLASS Award winner and was a three-time AVCA first-team All-American as well as the 2017 Big Ten Defensive Player of the Year. She averaged 3.01 kills per set on a nation-leading .492 hitting clip. Her .492 hitting percentage is the second-best in program history and third-best in NCAA history since the 25-point scoring era. Plummer was announced as the AVCA Division I Player of the Year and the first player in AVCA history to be named the Player of the Year following being named the AVCA Freshman of the Year. Additionally, Plummer was tabbed the Pac-12 and ESPNw Player of the Year and is a two-time AVCA All-American. This season, she posted 5.40 points per set to lead the Pac-12 and rank sixth nationally.